Now that spring is here and the sun has started to grace us with its presence from time to time, it’s tempting to get outdoors and enjoy food and drink al fresco whenever possible. And with such pretty picnic kit available to buy online from many of our retail partners, there’s no reason why you shouldn’t dine in style in the park, on the patio or on the beach. 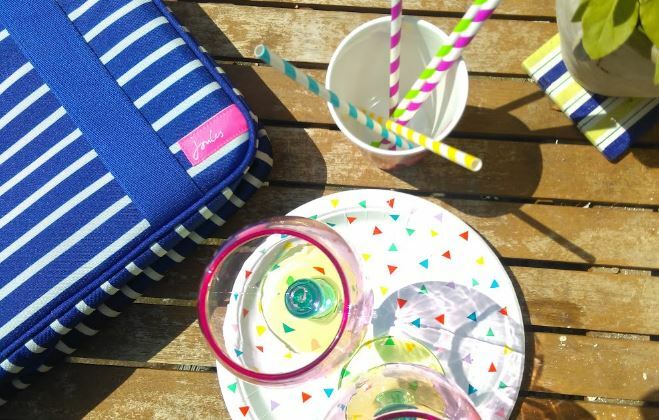 Striped cool bag: £29.95 at Joules, paper plates £4.50 at Paperchase, Multicolour slim wine glass, £8.00 at Paperchase, Straws, £3.75 Paperchase. If you’ve been mesmerised by some of the cheery and colourful items currently taking centre stage in many of our favourite online haunts, now is the time to order in the essential gear for your picture-perfect picnic. By choosing CollectPlus at the checkout, your cool bags, paper plates and other picnic paraphernalia will be sent directly to your local store, ready to pick up and crack out whenever the weather decides to play ball. 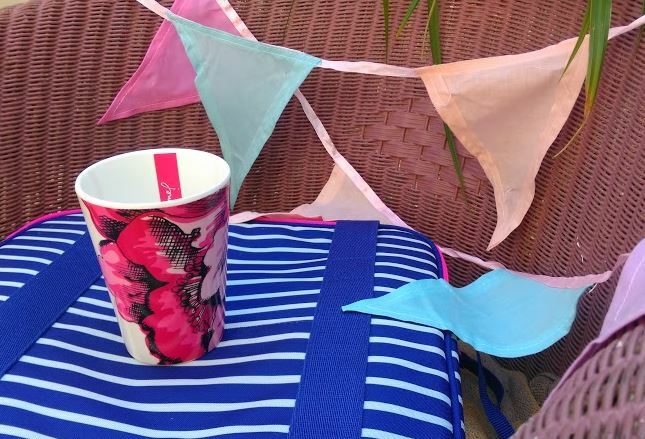 This year even fashion retailers have got in on the act, with brands like New Look offering colourful cups, sandwich boxes and other picnic essentials in the season’s hottest shades. 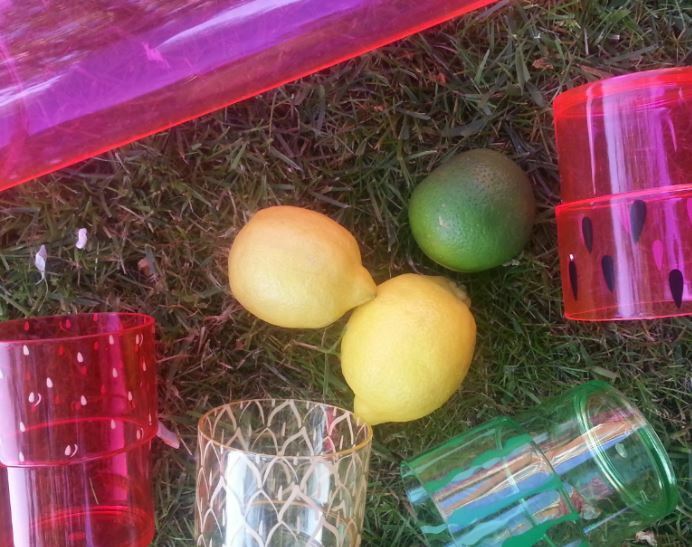 We love this translucent drinks set with watermelon markings for the ultimate summer bash – it’s just £9.99 for the whole set available to buy here. How would you like to have an extra £50 to spend on making your next picnic really special? To win a voucher from one of the retailers mentioned in this post, please fill out the form below. We thought that the picnic products available in spring/summer 2016 were so picturesque that they deserved their moment of social media fame, so if you’d like to share your next outdoor dining moment with us and post it on Instagram tagging in @CollectPlus, we’ll grant you an extra entry in our prize draw. 2. This prize draw excludes CollectPlus employees, their families, agencies, or anyone professionally connected with the promotion. 3. The prize draw runs from 08:00 on Thursday 19th May 2016 to 18:00 on Friday 3th June 2016. 4. There will be one prize of £50 shopping voucher at time of writing. No cash alternative is available and the prize is not transferable. By entering, participants will be deemed to have accepted and be bound by the rules. All entry instructions form part of these Terms and Conditions. In the event of unforeseen circumstances the Promoters reserve the right to offer alternative prizes of equal value. 5. To be in for a chance of winning the prize draw, you must complete the form on this page including an email address that CollectPlus can use to contact you. 7. The winners will be drawn at random by Monday 6th June 2016 and may be announced on Twitter either on the same date or at a later date. The winner will be notified that they have won the prize draw by email and must respond to this notification within 5 days, otherwise the right to claim the prize will be lost and the promoter reserves the right to re-award the prize. 13. These rules are governed by English law and subject to the exclusive jurisdiction of the English Courts. DATA PROTECTION: All the personal information that is taken during this prize draw will only be used in connection with the administration of the prize draw and will not be passed on to an outside company without permission.